Lyon is easy to reach by plane (a shuttle gets you from the airport to the town centre in about 40 minutes) or by high speed TGV train (two hours from Paris or Roissy-Charles de Gaulle airport). Discover the rich historical and cultural heritage of the city of Lyon whose 2000 year-old historic centre is now a recognised Unesco World Heritage site. In Roman times Lugdunum was the capital of the three Gauls and symbolized the colonial power that made it a natural outpost of Rome. 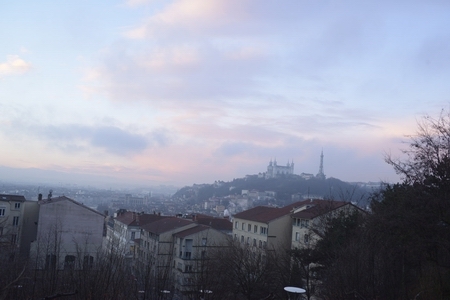 In the 11th century, after the barbarian invasions, Lyon awoke from the torpor into which it had subsequently fallen. Later, the Christian Religion would have a profound influence on the city’s development. With the advent of the Renaissance, the town prospered and became a major trade centre, drawing numerous merchants and financiers. More particularly, Lyon found a new vocation at the end of the 15th century with the introduction of printing. In the middle of the 16th century the arrival of silk weavers from Italy gave birth to an industry that would continue to grow up until the 20th century. In the 18th century the town expanded as the renown of Lyon’s silk manufacturers spread across Europe. The Revolution also strongly marked Lyon when, in 1793, the Convention ordered the troops to seize the city and destroy it. In the early 1800s, Jacquard invented the celebrated mechanism that doubled the number of looms working in the city and sparked off unrest that culminated in the silk weavers’ riots. During the 19th century, the city absorbed the surrounding villages and undertook a series of major planning projects with the development of the city centre, the construction of the basilica, a hospital, schools, etc. The city continued to spread during the 20th century and in the closing decades many of its historic districts and monuments have been restored very successfully. A reading list on Lyon and its history is available here. For more information about the town check out the city’s tourist office and the official City of Lyon web site. Generally speaking Lyon can be hot in July with the possibility of occasional thunderstorms. For detailed weather forecasts see the French weather office. 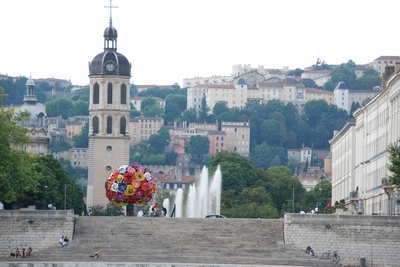 Lyon has a very active cultural life with a wide range of museums (Printing Museum, Gadagne Museums, Fine Arts Museum, Gallo-Roman Museum of Fourvière, Musée des Confluences, etc. ), art galleries, theatres, an opera house, music venues, etc. It also has a thriving population of second-hand and antiquarian book dealers many of whom are to be found in the historic district of Old Lyon or in the streets around the rue Auguste Comte with its many antique shops. Further information about books dealers can be found on the web site of the Syndicat national de la librairie ancienne et moderne. There are numerous special events in or around the city in July such as the Nuits de Fourvière concerts and the Vienne international jazz festival (just a half hour to the south of Lyon,) both in the spectacular décor of roman amphitheatres. An excellent network of tube/subway, tramway and buses makes it easy to get about in the city.